Imagine being fully immersed in your dream basement before you spend thousands of dollars, with Harmony Basements Virtual Reality technology that is a real possibility. You and one of our Creative Architectural CAD Designers will build 2, 3 or 5 diferent basement design concept ideas and will experience the space instantly, like never before. Our technology needs to be experienced, because in this case, seeing is believing. 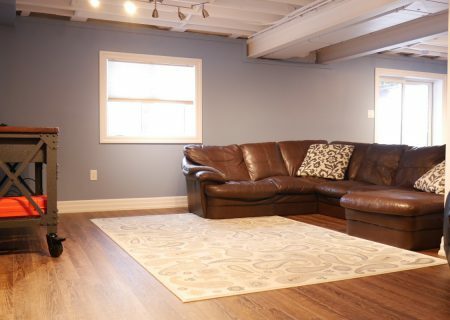 We're so Thrilled to design an Amazing Basement for You! 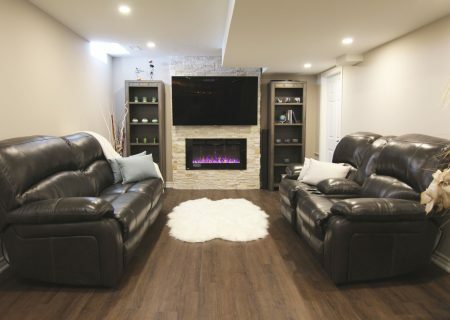 Design and renovate your basement into a living space your family will love. We help to breathe light, air and life into even the most dire-looking basements. 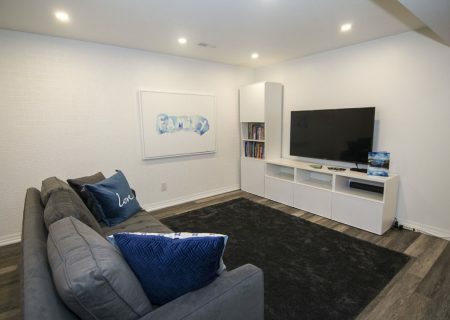 A well-planned basement renovation can not only see your home’s market value soar, but it can also create a space you'll love to retreat into every single day. No matter the size or the scope of the project, we handle it with the utmost care and perfection. 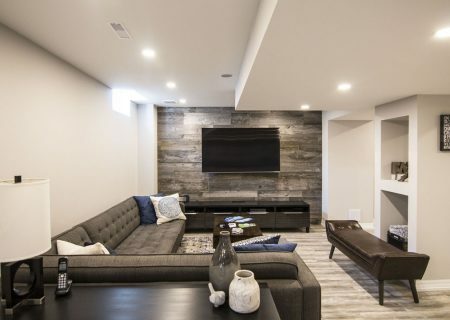 We will help you create the finished basement that deserves to be the heart of the home – a haven for fun, rest and relaxation with your loved ones. We invite you to immerse yourself further into our website. It represents a world we see and experience in harmony every single day. View our portfolio, read our reviews, and contact us if you have any questions or would like a FREE, no obligation estimate. 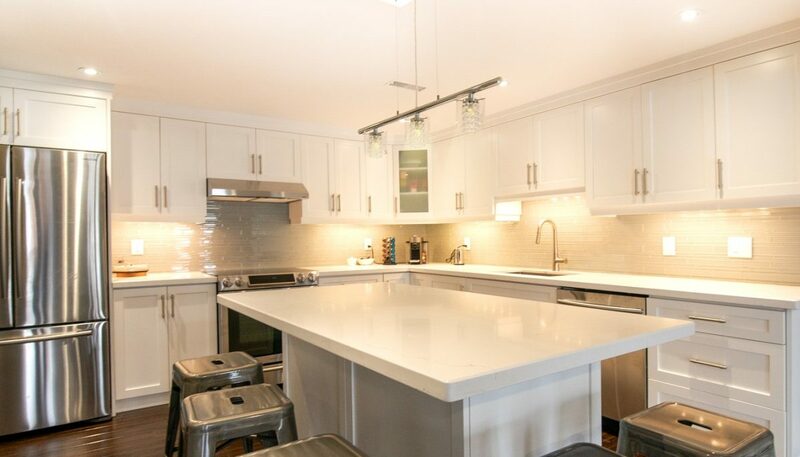 Harmony Basements has over 20 years of experience in the basement renovation and finishing industry. Our mission as a leading company in the renovation and finishing business revolves around integrity and full transparency with our customers. There are no surprises, no hidden fees, and no fine-print terms. Our work is built on complete honesty and our prices are competitive. 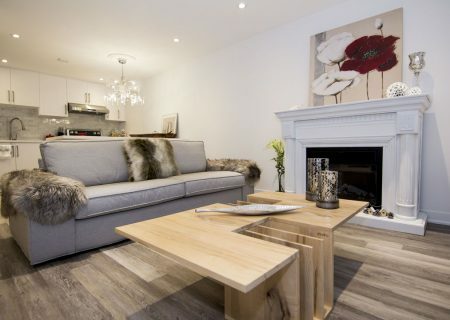 Over the course of the last two decades, we have helped hundreds of homeowners in Toronto and the GTA transform their basement from a dull, unutilised space into a functioning, lively area. Our team has experience designing and building legal second suites, game rooms, distilleries, home theatres, etc. 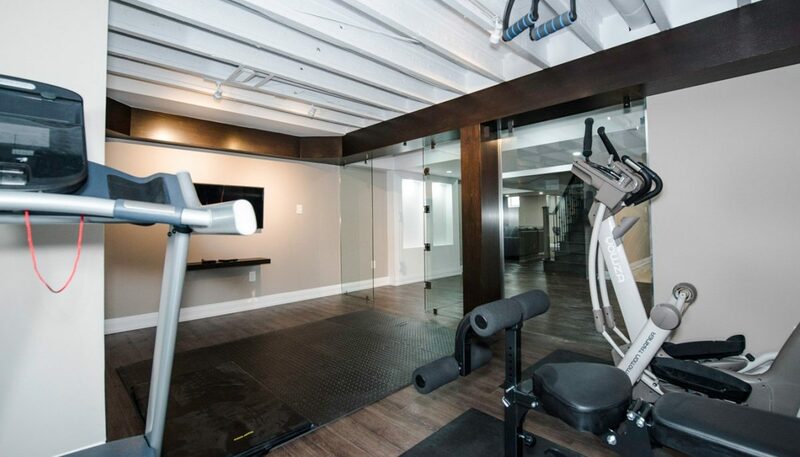 With our amazing experience, you can be 100% confident that our work will result in the basement you have always envisioned for yourself. Harmony Basements offers a 3D virtual tour that is truly one of a kind. You can easily view your basement during every step of the renovation process, as well as see the end result of your basement using our special VR headset. Our 3D virtual tour offers you a glimpse into a brighter future where you can have the basement of your dreams. Our designers work around the clock to create the perfect design that is guaranteed to leave you in awe. 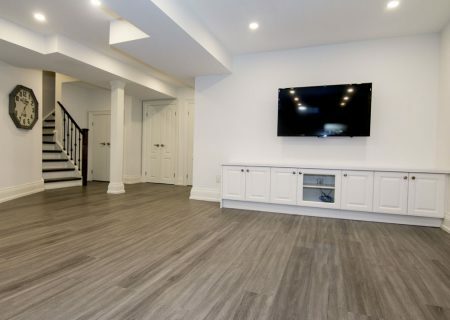 This is where our VR tools come in handy; in order for us to perfect your basement to a tee, we give you special access to your basement renovation project from start to finish, so that we are able to make alterations and changes on the spot. We can even work on the most minute details so you are absolutely satisfied. The reason why we excel at what we do is that we utilise the latest technologies in order to bring you closer to your ideal basement. We believe that planning is as essential in renovation as the actual work itself, which is why we use AutoCAD during the initial designing stage. 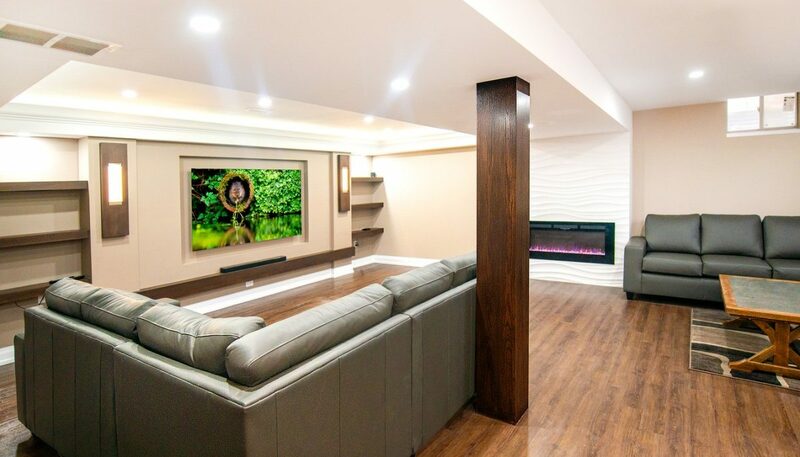 Our team of skilled designers makes use of AutoCAD’s cutting-edge technology, relying on advanced 2D and 3D software to bring your dream basement to life. We also take pride in our customer satisfaction rates. We have been consistent in renovating and finishing basement according to high industry standards. You can even step into our finished basements using our interactive 3D virtual tour, where you can browse our impressive portfolio just to get an idea of what we are capable of. 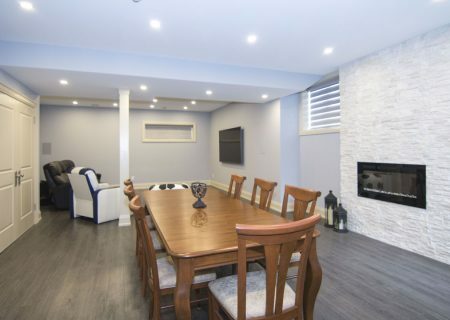 Our project managers are seasoned professionals who specialise in basement renovation and finishing, from the very basics down to the nitty-gritty. In addition, as proud members of RemoMark and BILD, and we constantly strive to be ahead of the curve in that we are the first to know about changes in provincial building codes, municipal requirements, health and safety regulations. When you hire us to work on your basement, you can rest assured you are signing up for a professional attitude and outstanding quality. Customer satisfaction is our number-one priority and that is why we do our best to provide you with prime services you will not find elsewhere. We understand that your house is an asset and investing in a new basement comes with a price. Although renovating or finishing your basement adds tremendous value to your property, it is still a huge financial venture. This is why our financing plans are flexible and specifically tailored to fit within your financial capacity. Harmony Basements is proud to have long-standing partnerships with major banks and in-house financing that offers you financial leeway, competitive prices, and terms that accommodate your every need. 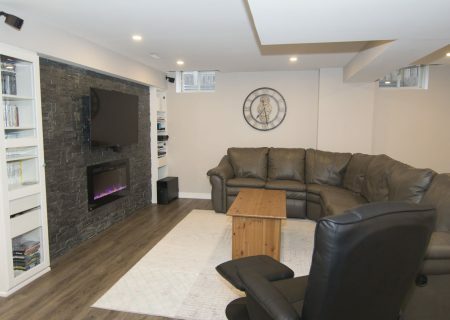 We believe every client should be able to afford their perfect basement, and that is why, over the 20 years we have been in business, we have helped many homeowners finish their basement renovations with just under $150 per month, including no interest payment for 3, 6, 12 months OAC. We also allow you to pay at your own pace without any additional, unnecessary penalties. Harmony Basements offers a lifetime warranty for your renovated or finished basement where you are guaranteed our long-term commitment. Our warranty plans are comprehensive, flexible, and tailored to suit your needs. In case you wish to sell your house in the future, there is no need to worry. Our warranty plans are fully made to accommodate any given circumstance. If you choose to sell your property, your basement warranty will be transferred to the new owner upon sale, so that there are no financial losses at your end. With Harmony Basements, you can be certain your basement is complete, fully finished, and ready to use by the time the job is done. Our turnkey solutions ensure that your basement is equipped with all necessary utilities such as plumbing, lighting, ventilation, and insulation, as well as any additional design elements you request. We are eager to help our customers finally have the basement they have always dreamed of. 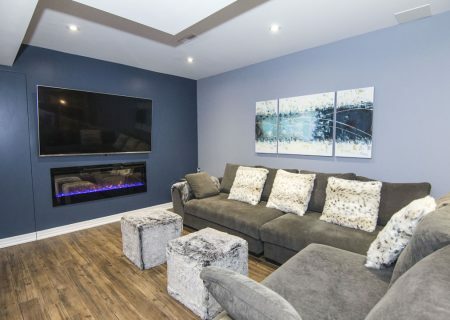 Although renovating your basement can seem like a huge undertaking that comes with many questions, with our level of dedication and skill, we make it easy. In terms of basement finishing and renovation, we know what we are doing and our marvelous work speaks for itself. Distance has never been an issue for us. We have seen many basement projects to completion all throughout Ontario. 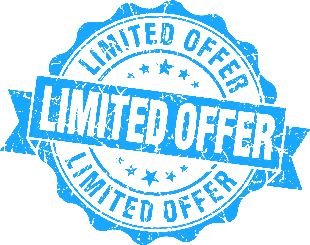 So whether you live in Downtown Toronto, the GTA, or anywhere beyond, we are more than ready to deliver our services right to your doorstep.